Joseph V. Cavanagh, III became a partner in the firm in 2013. He practices general litigation with a focus on business and complex commercial, employment, personal injury, and real estate litigation. Mr. Cavanagh also advises corporate and non-profit clients in the areas of pre-litigation strategy, employment, contracting, negotiation, and compliance. He has served as counsel to municipal boards and commissions and as prosecutor for the Town of Smithfield, Rhode Island. Mr. Cavanagh has successfully litigated cases in federal and state trial courts in Rhode Island and Massachusetts, the First Circuit Court of Appeals, the Rhode Island Supreme Court, and before state and municipal regulatory authorities. Mr. Cavanagh brings a versatility and flexibility to his clients’ concerns. Having achieved successful results through jury and non-jury trials, appeals, arbitration and mediation, Mr. Cavanagh works efficiently to achieve business solutions for his clients. Mr. Cavanagh has been named by Super Lawyers on its annual list of top Litigation attorneys in the region in each of the past six years (2013-2018). In 2012, he was named a "Rising Star" by Super Lawyers as one of the top emerging Business Litigation attorneys in Southern New England. In 2017, Mr. Cavanagh was selected by his peers for inclusion in The Best Lawyers in America © for his work in Real Estate Litigation and in 2019 was voted Lawyer of the Year - Litigation - Real Estate. Prior to joining Blish & Cavanagh, Mr. Cavanagh was an associate at Mintz Levin Cohn Ferris Glovsky and Popeo PC. During law school, he interned for Hon. Mary M. Lisi in the United States District Court for the District of Rhode Island. Prior to law school, he worked at Trion Communications, Inc., a political strategy and consulting firm in Providence, RI. Mr. Cavanagh was awarded his J.D. from Cornell Law School in May 2003. 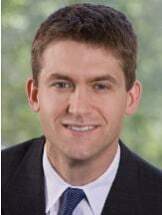 He served as Executive Bench Editor of the Cornell Moot Court Board and represented Cornell at the 2003 Willem C. Vis International Arbitration Moot in Vienna. He earned his B.A. in History from the College of the Holy Cross in 1999. Mr. Cavanagh is actively engaged in the community and serves on the Board of Trustees at the Ocean Tides School and the TGC Memorial Fund, Inc. and as a coach and volunteer with two local non-profit youth sports organizations. He is admitted to practice in the state and federal bars of Rhode Island and Massachusetts and the First Circuit Court of Appeals. Board of Directors at the TGC Memorial Fund, Inc.